Swan Rescue at Chalk Farm! Following a report of a swan trapped in the ice, Ranger’s Jenny and Laura and Blackwater Valley new recruit Nicci, headed to Chalk Farm this afternoon. At the lake we met Jacob from Wildlife Action (who had also been called about the swan). 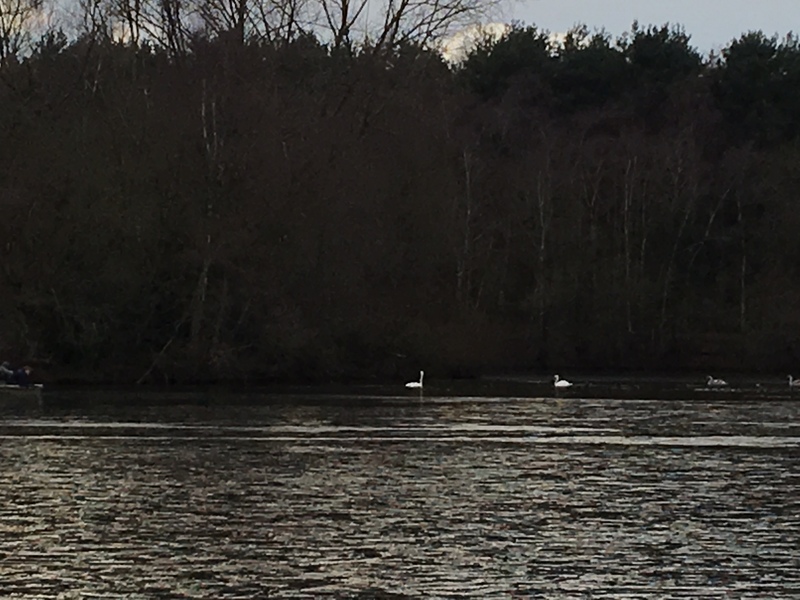 A quick inspection from the bank confirmed that the male swan (from our small resident family of four swans) did appear to be trapped between the bank and the island. The remainder of his family were safe on the leeward side of the island (with the coots, ducks and other waterbirds) in the water that hadn’t frozen. 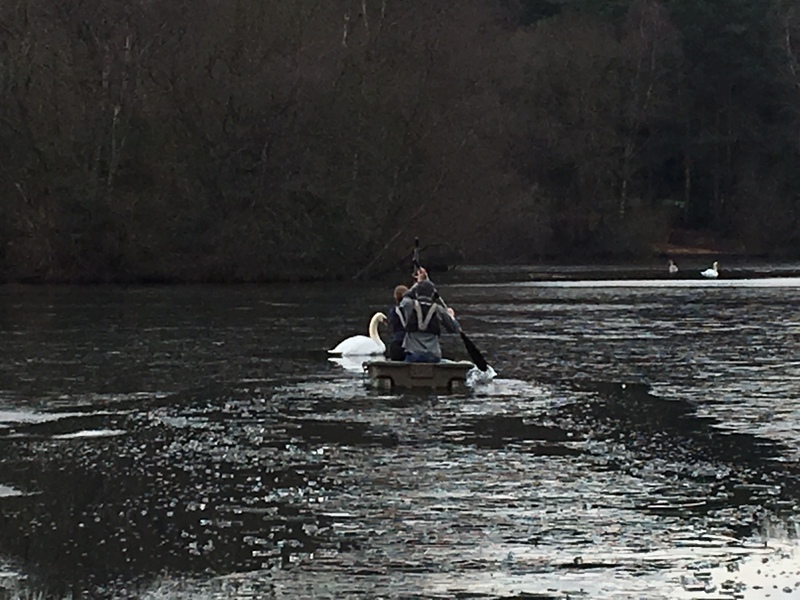 We launched the boat (you can just see the swan in the distance – approximately 200m away), at 14:30 with Jenny in the front (breaking through two layers of thick ice with her oar) and Jacob who had equipment on hand to deal with the swan in case it was injured. It took Jenny (with Jacob’s help) twenty minutes of hard work to reach the swan. He was watching their approach – but didn’t make any attempt to move away, which was worrying. Once they were close they could see that the swan wasn’t injured, just tired. 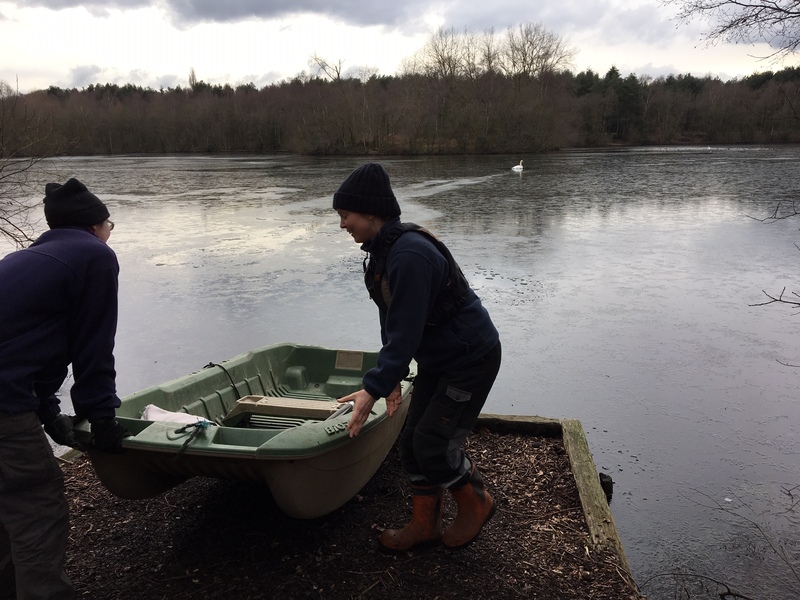 By manoeuvring the boat they encouraged him to try and walk across the ice to reach his family in the open water. Forty minutes after the rescue mission started the tired swan was finally reunited with his family. 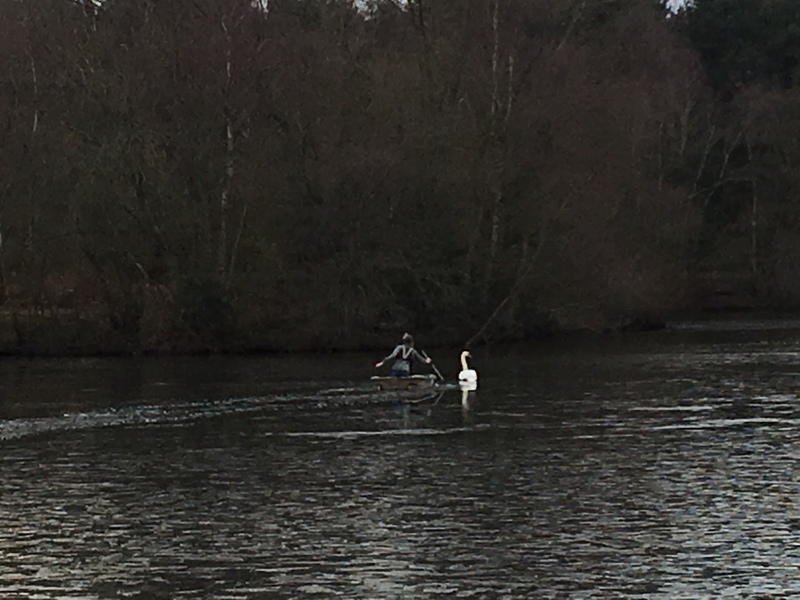 Whilst Jenny and Jacob made their way back through the ice Laura and I watched the swan to check that he wasn’t injured or too upset by his adventure! This entry was posted in Conservation, Sites, Wellesley Woodlands, Wildlife and tagged Wellesley Woodlands. Bookmark the permalink.